I put it at 500 OBO. not firm on the price but i didn't feel like someone low-balling me for 100 bucks. Just jaded from other forums and craigslist transactions. Price readjusted to $300.00 OBO. 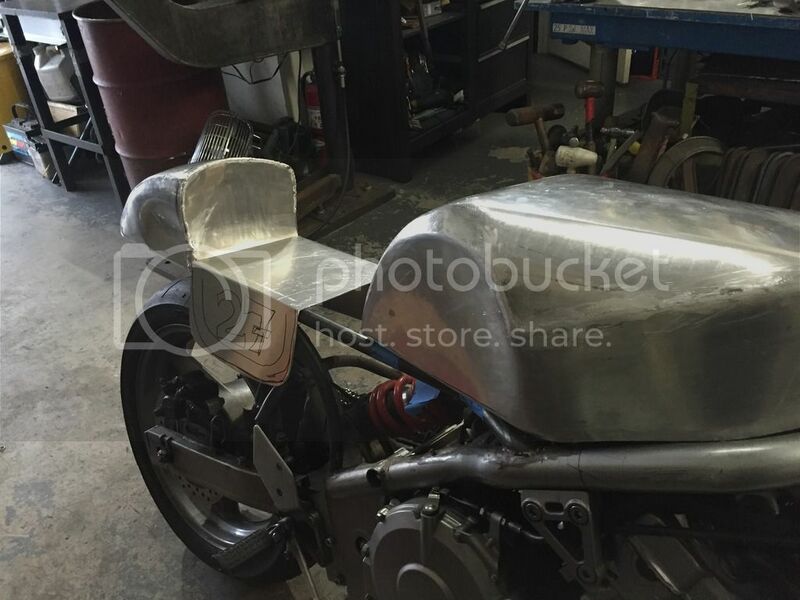 I bought a spare Honda Cb1 tank a couple years back. Its been sitting for a while and i figured i should get rid of it. It was originally blue, repainted yellow. I've tried to take photos of the dings and scratches that are on the tank. I dont believe the tank had any major crash damage in it. If you want more photos, please feel free to ask. Asking $300 or best offer. I still need to do a TON of work on the bike, let alone pick it up from the my buddies shop. 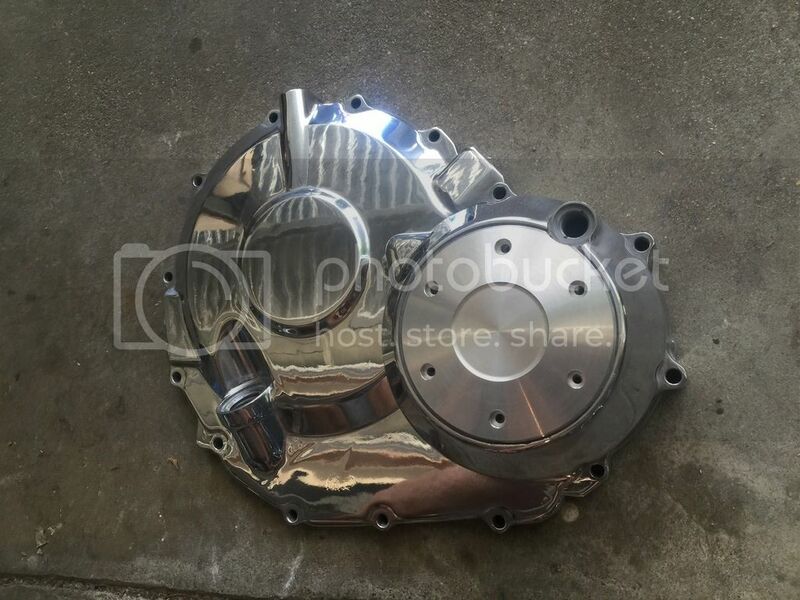 but here is a little preview of how she is sitting now..
Like every cb1 owner that has gone down on their bike, the first place to take alot of damage is the clutch cover on the right side. I bought a spare off of ebay with some damage on it and welded some aluminum into the scratches, sanded, and polished it to see how it would turn out. its not the best cause the cast aluminium is hard to work with, but here is the end result. 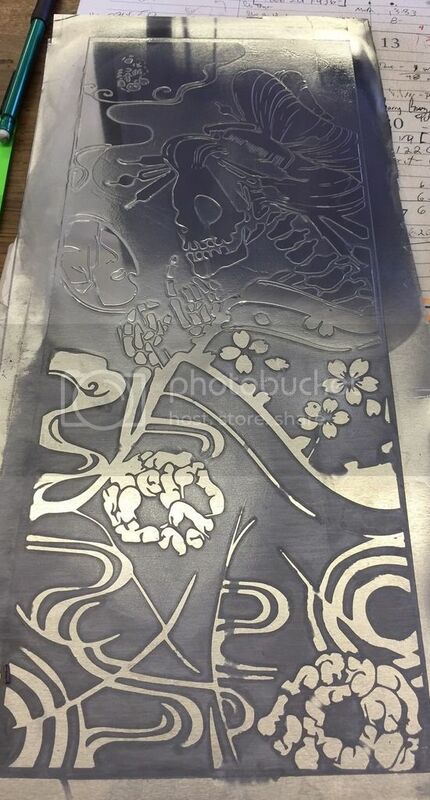 I also tried my hand at etching aluminum, seeing if i could throw some accents on the bike further down the road. it was pretty easy to do. the top half of the image i polished, and the bottom half, i left unpolished. Thanks for taking the time to measure your pipes for me, Pod!!! Much appreciated!! I looked up GF Racing in the UK and they make a set of racing pipes for the NC23. Yes, it looks just like that. Although from the photo, it looks like a 4-1, l suspect that that it is still a 4-2-1. I'll get the dimensions tomorrow. Hey Pod70. Absolutely, if you are willing to share the diameter and length of the nc23 pipes you have that would be great! some pictures of the link pipes you are talking about would also help too. My understanding is that the 4-2-1 is suppose to be more torquey in the bottom of the powerband compared to the 4-1. 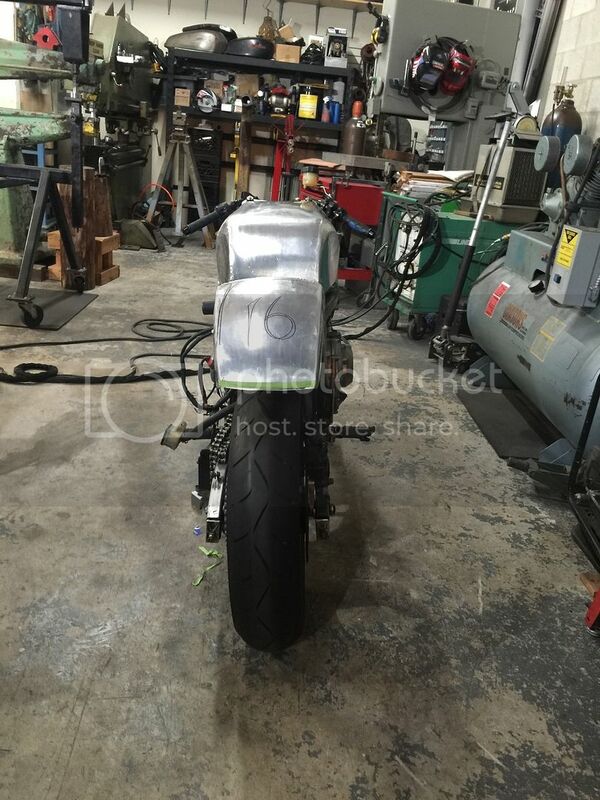 Hey hey, so ive been building my bike and looking at an exhaust to put on it but haven't found anything in particular that i like. The previous owner left the bike outside and the exhaust has alot of rust damage. 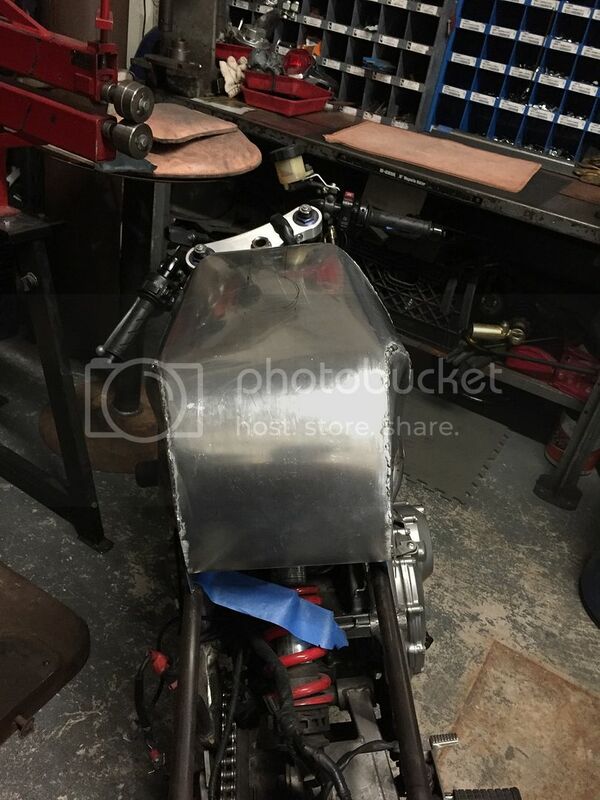 A friend of mine is making a production run of pipes for his cb900f and we have the contacts to bend and weld up our own exhaust. Performance wise. 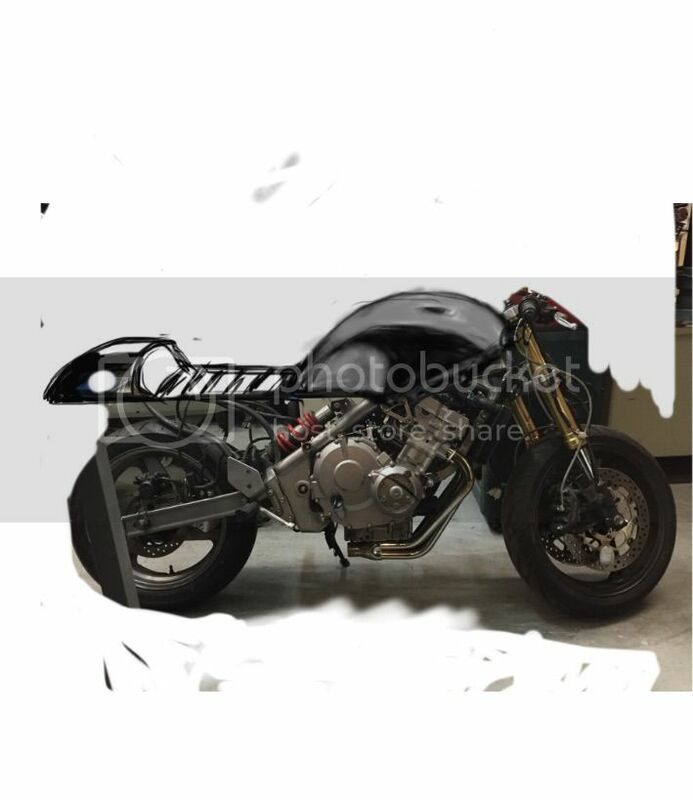 I can build the pipe and swap it onto a bike, throw it on a dyno at the shop in irwindale and get some hard numbers on performance increase. The only problem is that my bike has quite a bit of modification done to it. 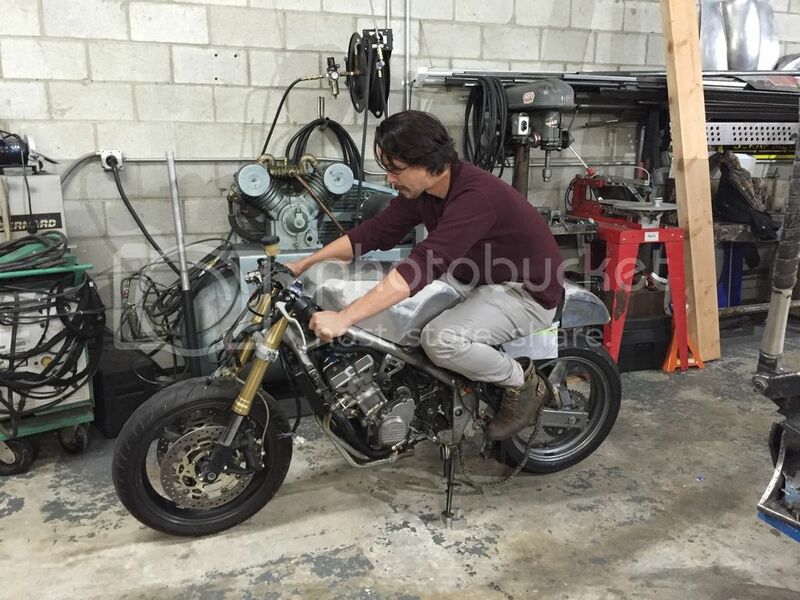 so i would need someone stock bike to test the exhaust on. My question is if anyone is interested in buying a set of pipes if i build them??? 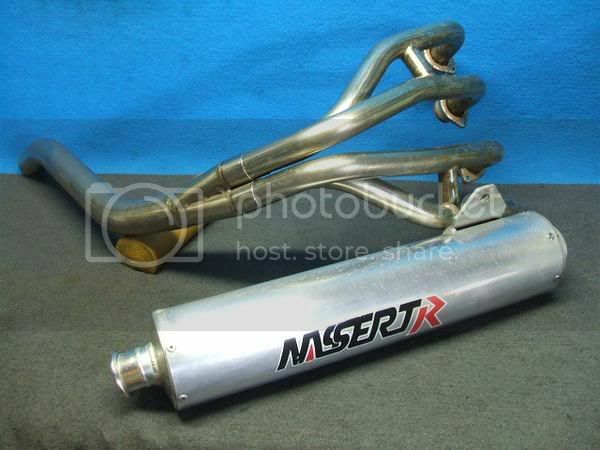 I am also interested if any other members got their hands on some race pipes before they were discontinued?? Diameter of the pipes?? length of headers?? Any info is appreciated!! still working on the bike right now..... I will be attending the Born Free show on june 26th. 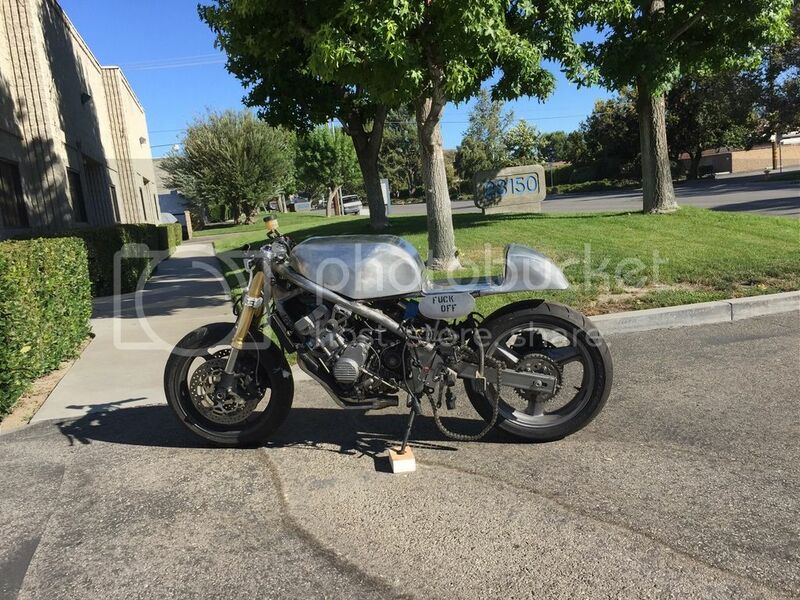 the cb1 wont be finished but im just going to show the bike how it is and see what people think. Im also going to bring out my honda grom. and just have fun with it. If anyone is local they should come out! Work continues!!! been slowly plugging away at this. 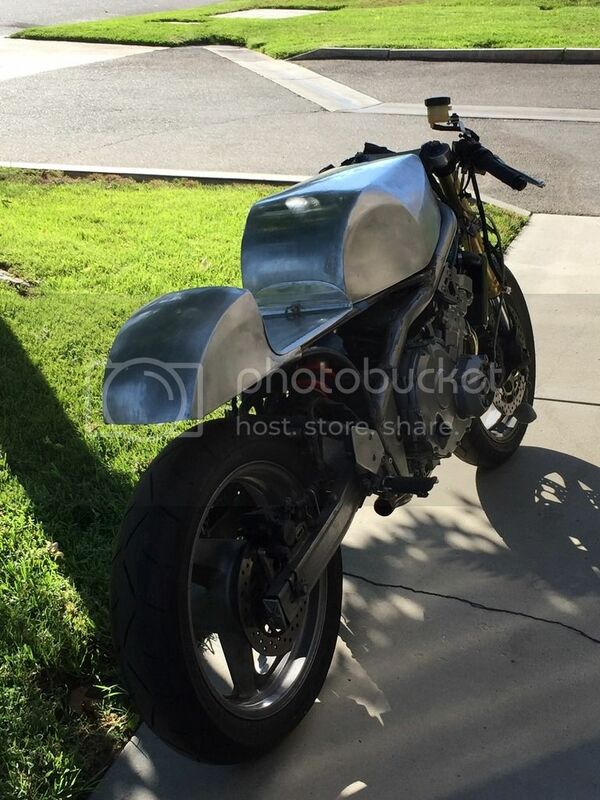 made the rear cowl for the bike. and throwing around the idea of putting the number plate under the seat. keep you guys posted as things move forward. Sorry i didnt respond earlier. i didnt realize you posted!! 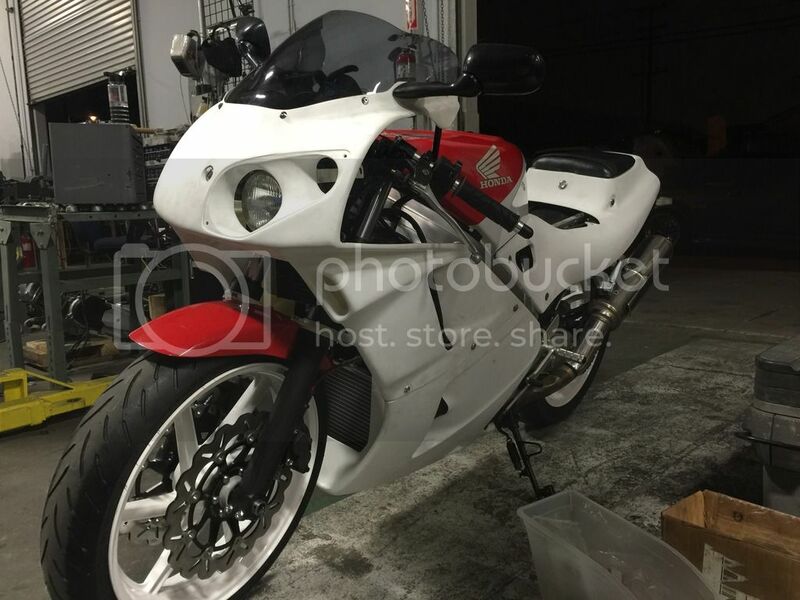 the front end was from a cbr600rr. and yes, the 2nd bike is vfr400 nc30. 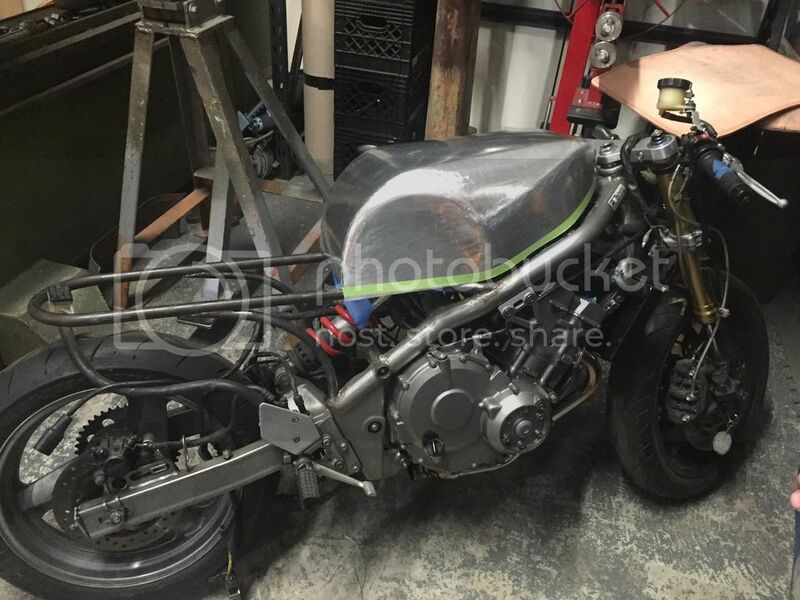 So here is a little update on the progress made on the cb1. i started to build the gas tank on my own, with basically 0 experience in tank building. lol after a couple failed attempts i talked to a local metal fab shop in my area and decided to hire the guy to help me with the bike. 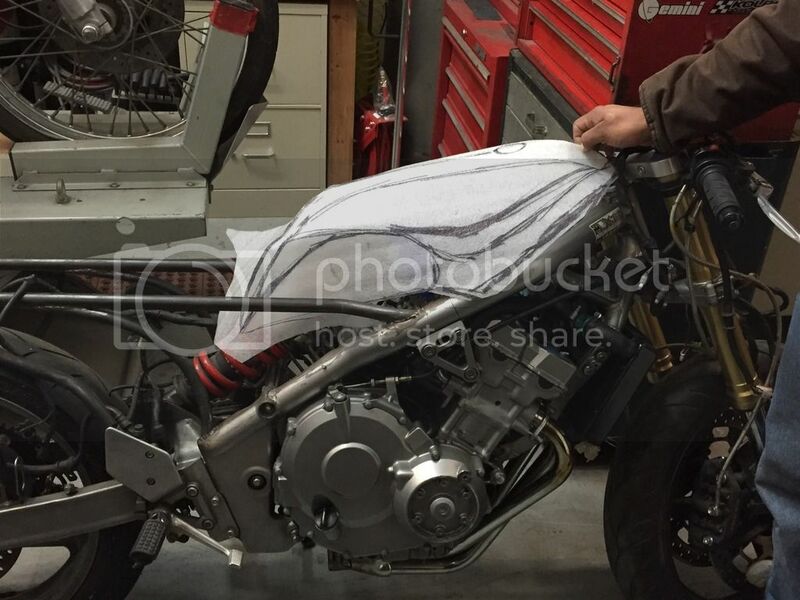 here are a couple rough pictures of the bike as it sits now. i still have alot of work that needs to get done but we slowly chugging along. I got tired of not riding my bike and started shopping around online for something to ride in the down time. then this sucker popped up and i had to get it. After i got the bike home and started to do some preventative maintenance on the bike, i realized that the previous owner was an absolute idiot, and it turned into another project bike. Bolts broken off and never replaced, SAE bolts cross threaded into metric nuts. the list goes on but she is coming together nicely. 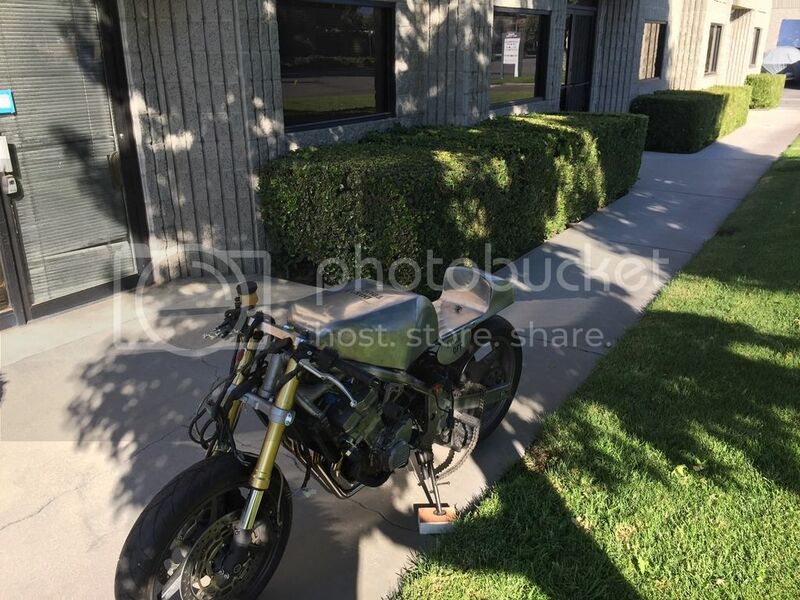 Greetings from another Southern California Cb1 owner! Im out by Pasadena, but dont mind riding over the to Rock store to meet up. 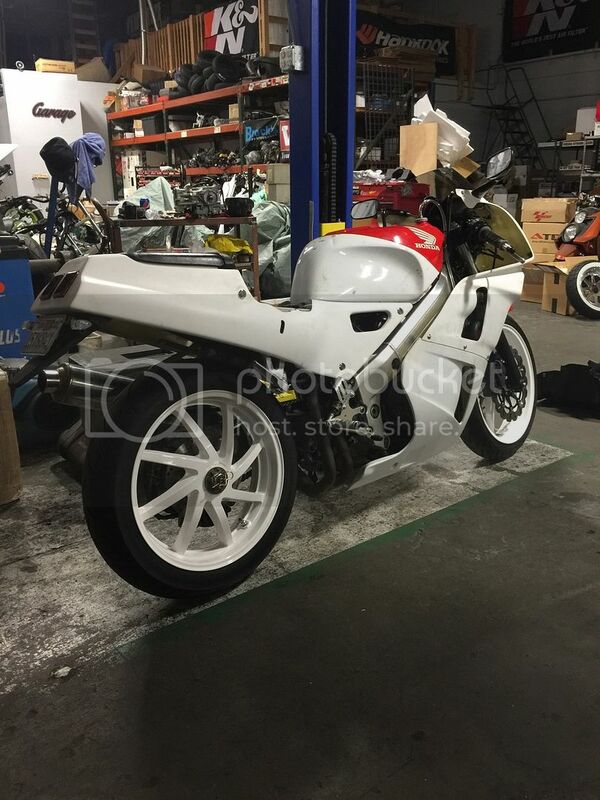 My cb1 is dead in the water right now, and my vfr400 is getting some tlc. But if you dont mind me coming up on my grom. im down to meet up sometime.